Actually you are inside warm and toasty as you look out the window on the falling snow. 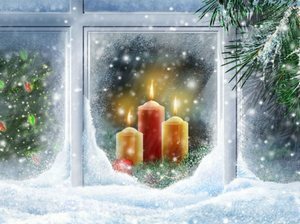 Your Christmas candles flicker endlessly welcoming guest in from the cold. You can actually smell the fragrant pines and the mulled cider on the stove.